By now, you've probably decided what your wedding theme is. If you have not, here are some basic wedding themes: rustic wedding, beach wedding, ethnic wedding, country wedding, romantic wedding, over the top wedding etc. You centerpieces should also take into consideration the season you decide to have your wedding. When looking for your wedding table centerpiece ideas, you should take into consideration not only on the level of formality, but how your food is going to be served, a buffet, a sit down dinner, or hors devours being served by a waiters. To make this easy, I have divided the article into seasons and different levels of formality. Flowers, flowers, flowers! Spring is all about blossoming flowers. Flowers in seasons are at their cheapest so make sure you use flowers that are in season when getting married in the spring (or any other time!). Mixing several kinds of flowers with complimenting colors add texture and luster to your event. Flowers can be a single flower in a clear vase or a cluster of flowers with rhinestones in a tall table wedding tree centerpiece. 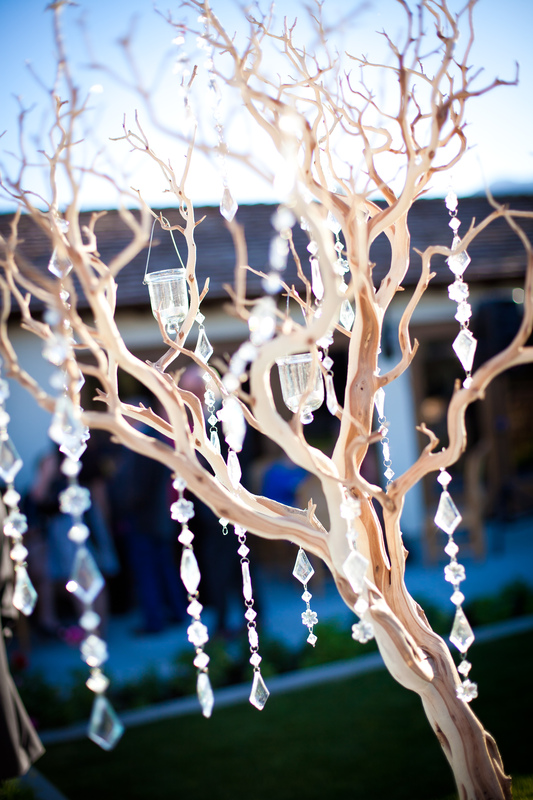 Birds and birds nests on wedding trees are also an elegant touch. For outdoor weddings, you may consider brightly colored topiaries. 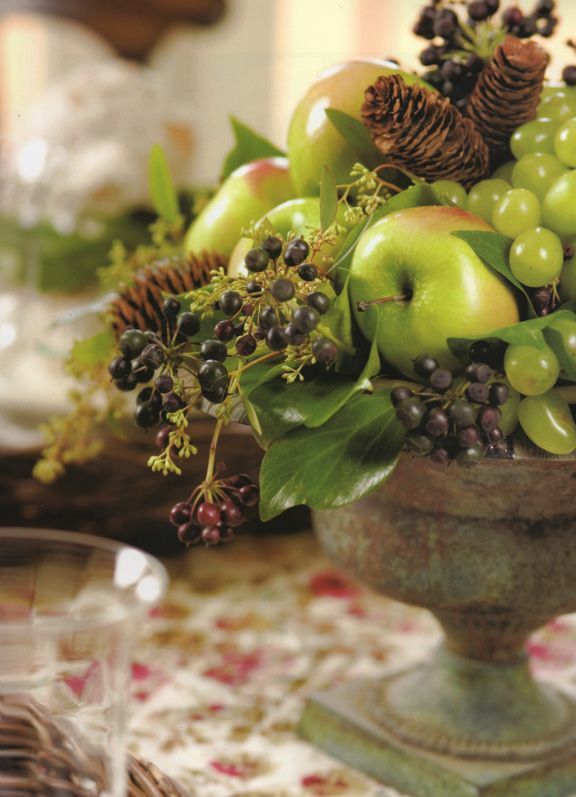 If you're not into flowers, another option is fruits in season arranged artistically on vases or a silver campote. Fruits presented like flower arrangements can be a beautiful alternative. Pebbles as a base for votive candles are great alternative for adding natural elements. I do not recommend sand, as sand can get into food, especially on outdoor wedding reception sites. Speaking of natural, don't forget greens like grass, bamboo or moss. Beach weddings are very popular in the summer. 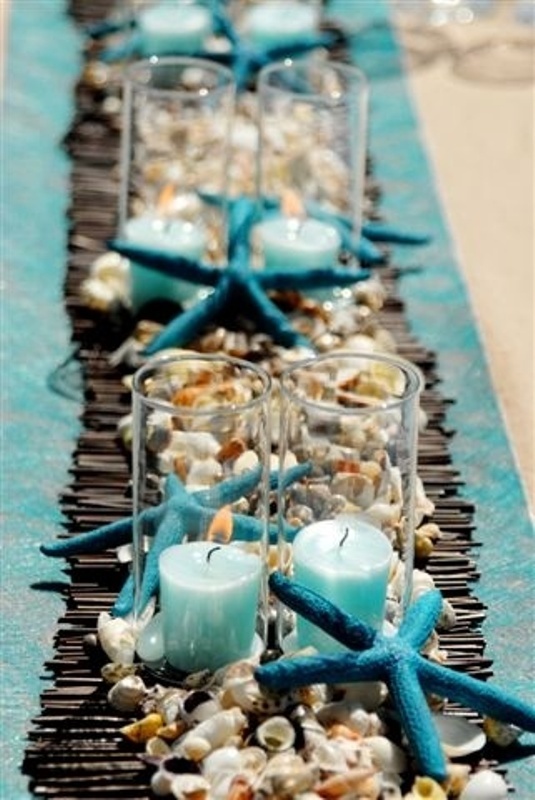 Your centerpiece can be as simple as having sea shells on the table. If you are a DIY bride, you can easily make a beautiful beach centerpiece by gluing different sizes of sea shells on a big vase or a small votive candle holders. Tie it with a rafia on top, If you like. Roses, tulips, and lilies are very popular summer flowers. 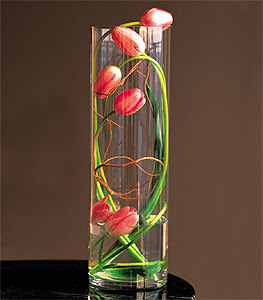 Cut the tulip stems short and place them on a square vase for a modern look. If your reception venue has a tall ceilings, take advantage of this architectural feature by having tall table wedding centerpieces, such as crystal trees adorned with spring flowers and hanging crystals. Just make sure they are tall enough to not interfere with your guests when they are trying to talk (or see each other!) across the table. You can also hang colorful paper lanterns over the table to add to the festive mood. For a night wedding, you can hang floating glass candle holders for a romantic feel. White, white, white! In the midst of all the dark colors of winter (think clothing colors during winter) nothing is more refreshing than white. White winter weddings are almost always glamorous. 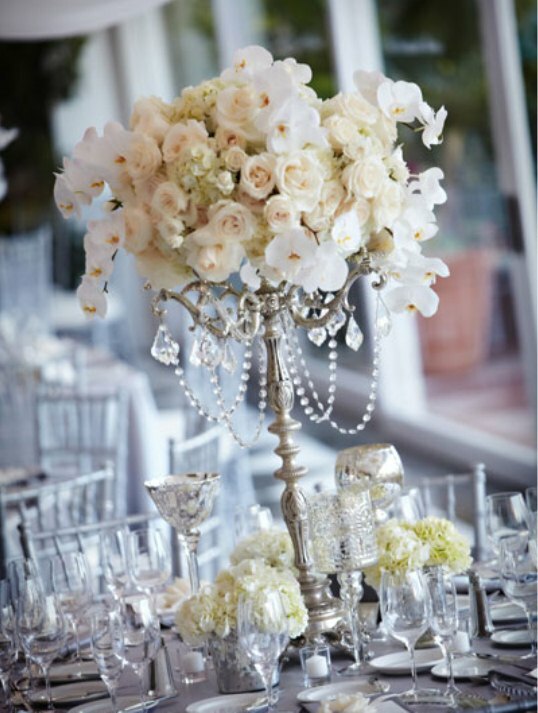 Very tall candelabras as centerpieces are most appropriate when romance is in the air. And what can be more romantic than a big vase with nothing but white roses in it surrounded by frosted votives? Succulent plants in little pots or a cluster of different succulent species are used for a more natural look. Remember, pine cones are not just associated with Christmas. Add them as a contrast to red roses bouquet centerpiece and you will be surprised how lovely those things go together. Of course, don't forget feathers on tall, almost architecture like arrangements. You can buy feathers in any color in your local arts and crafts store. Popular wedding flowers this season have rich hues. Flowers this season are daisies, roses, mums and sunflowers. While your favorite flowers might not be in season (thus paying astronomical prices for them) take heart. You can still transform these flowers into beautiful centerpieces. With a florist ball, you can create roses pomanders and place them on top of martini glasses or candle holders for an instant centerpiece. Make (or buy) them in different sizes to create an impact. Grapes and berries on fruit bowls add color and texture to your wedding table. Arrange them on a glass fruit bowl (make sure you wash them so that guests can help themselves.) Berries are also a wonderful addition to your floral bouquet centerpieces. Leaves are an obvious choice during fall. How can you incorporate this? How about wrapping your candle holders with green leaves, tie it with a rafia. For a fall beach wedding, how about a clear glass bowl with floating candles? You might even want to add rocks on the bottom. 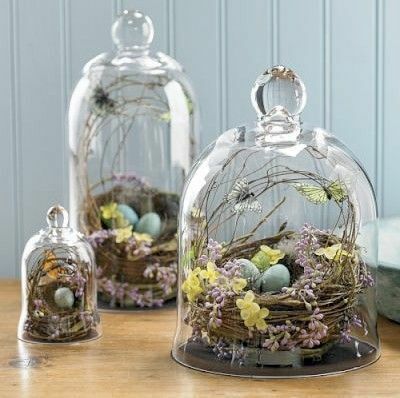 So you see, there are different (and inexpensive) ways to beautify your table centerpieces. You wedding should be as unique as you are. Go out and take a nature walk. Nature is such a great inspiration. I suggest you make an inspiration board for your wedding. 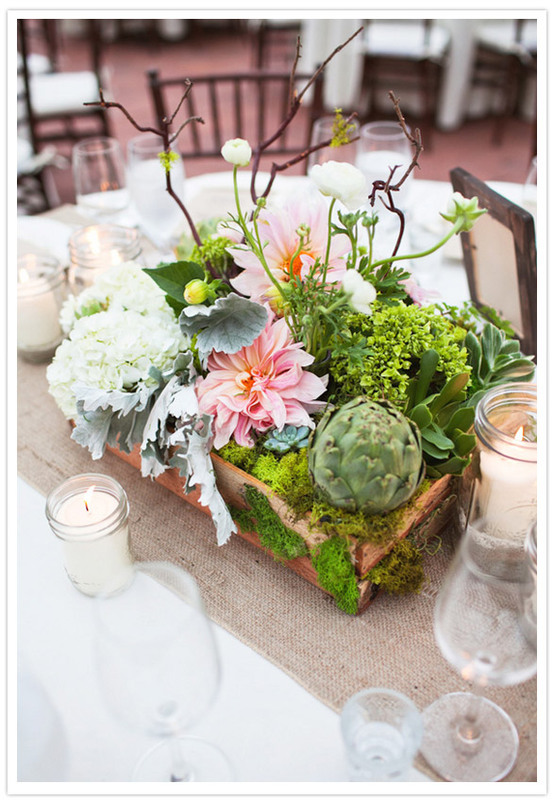 Pick up to 3 colors and work your way toward unifying not just your centerpieces but the whole wedding itself. Remember, centerpieces are your focal point. It's a sure fire way to make a lasting impression on your wedding day.